Rolling Oaks Commons is a fast developing retail area located at the Orange Lake junction of the US192. It is home to a great Super Target store and many smaller retail outlets. Rumoured future expansion plans include more retail with several larger anchor stores and a multi screen cinema, but our main reason for visiting is definitely the great selection of restaurants. On one side of the development are Bahama Breeze, Longhorn Steak House, Olive Garden and Sweet Tomatoes. Just across the junction you will find an Applebee’s and a Millers Ale house. This is to Italian cuisine what Red Lobster is to sea food. The same restaurant group operates both chains as well as the popular Bahama Breeze and Longhorn restaurants. The fair is exactly what you would expect with good quality pasta dishes, pizzas, chicken and steaks cooked Italian style. They offer regular specials and a wide selection of wines. Garlic bread sticks and salad (as much as you want) come with each meal. Olive Garden has nice décor, good service and importantly is reasonably priced. Lunch specials such as all you can eat salads and soups are particularly good value at about a third cheaper than dinner. A slightly more up market, but still very casual restaurant with décor based on the Caribbean islands. Here you will find steak, chicken and fish dishes as well as speciality dishes which all reflect the taste of the Caribbean Islands. Try the fantastic coconut shrimp, the array of grilled fish, shrimp, scallops, Jerk Chicken, all are great and you will not be disappointed. For something different try happy hour Monday – Friday from 4pm-7pm when certain drinks and appetizers are available for around half price. For those of you who like a good steak, look no further Longhorn. 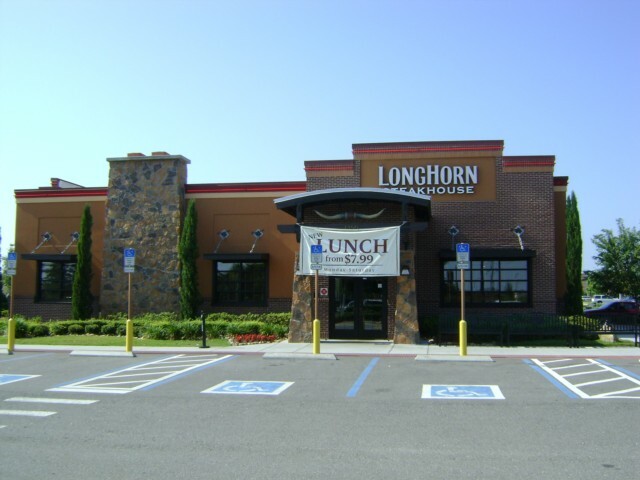 Longhorn is a casual restaurant with décor based on a Western rancher’s home. It has a good atmosphere with a bar and separate restaurant area. When we visited the servers were very friendly and service was good. Longhorn Steak house doesn’t just serve steaks but also chicken and fish and other selections. Why not try the signature hand-seasoned Flo’s Filet, the fantastic bone-in Outlaw Rib-eye or the slow roasted prime rib, all great. Rolling Oaks commons is a welcome addition to the area and well worth a visit. TIP: - Sign up for the restaurants e-mailers and save $’s. Receive regular money off dining coupons. Viewed 2936 times since 14 January 2012.